e have to have samba with winbind plugin in order to “talk” with AD like Windows machines do. Winbind plugin allows querying AD structure like “is thit user member of that group?”. The Kerberos server and workstation packages are needed to establish secure, trusted connection with AD. The last package “ntp” is used for time sync between our squid server and DC (domain controller). After successful installation let’s begin with configuration. The main configuration file of samba is smb.conf, which is located by default in /etc/samba directory. I wrote it from scratch. winbind separator = \ The first parameter “realm” defines Kerberos realm which will be used. “security=ADS” parameter tell us that samba will authenticate users with DC (domain controller) and that our machine will be member of AD domain. “idmap” parameter is a range which will be used for allocating UNIX IDs for AD users and groups. “workgroup” is a NETBIOS name of our AD domain. “password server” is a GLOBAL CATALOG in AD. “winbind separator” is a sign which divides username with domain name like DOMAIN\User. “logging” section defines type of logging: syslog or file. “libdefaults” section is used when describing default Kerberos realm, if we want to set AD servers static or rely on DNS. “realms” section determine our Kerberos realm. “domain_realm” maps AD domains to Kerberos realms. kdcdefaults” section sets ports where Kerberos is running. Here we got default TCP port 88. “realms” describes Kerberos realms for access control. “kdb5_util create -s”command creates Kerberos database along with “stash” file (admin_keytab in kdc.conf). “Stash” file is responsible for allowing access to database for Kerberos daemons. “net ads join” joins Linux box to AD. should give us info aout users and groups in Active Directory. Lesson 2. 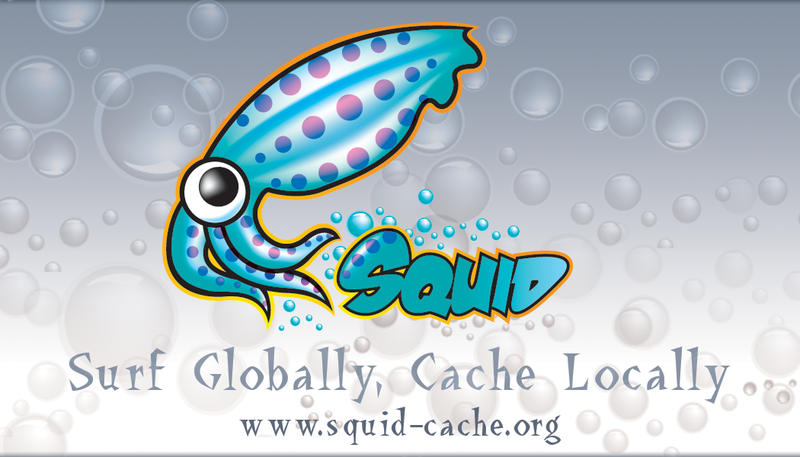 Configure squid to use samba and winbind when authorizing access to web pages. So it’s time to configure Squid to use our connection to AD. All the auth_param directoves are important for squid to work with AD. external_acl_type defines nt_group, Active Directory group if we want to use AD groups in our ACLs.